Ok so we have some really exciting news—-Riley Blake Designs has put together a Project Design Team and we have been invited to be part of it! Here’s how it works. Every Wednesday (starting in February and running throughout the year) a member of the Project Design team will be over at the Riley Blake Designs blog sharing free patterns and tutorials on everything from quilting to crafting. And the the projects should be great. Just look at the line up of the other members of the team! 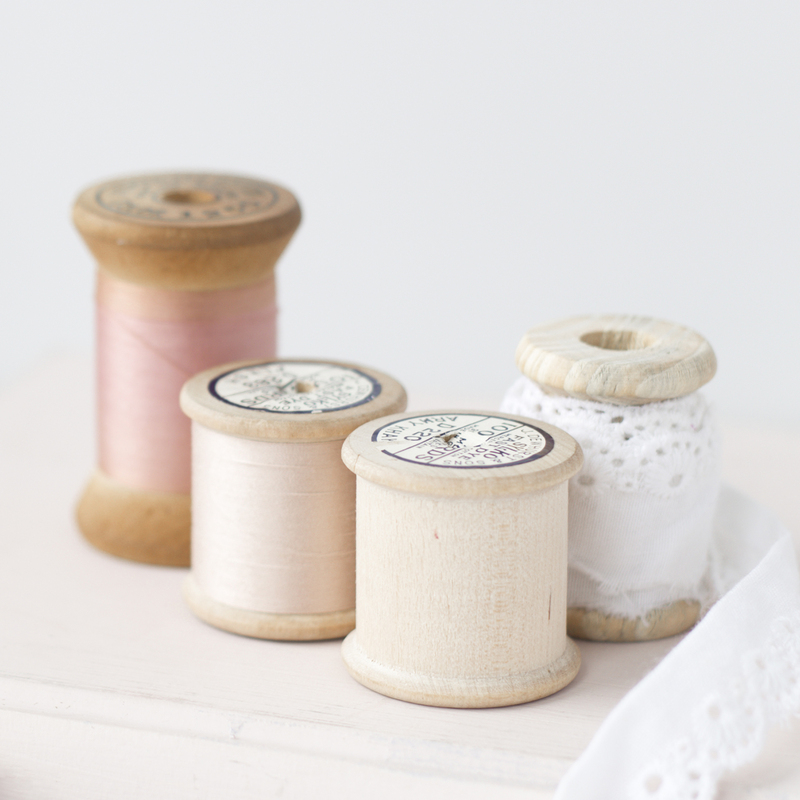 Our first turn will be the second week of February…we’ll remind you when the time comes and give you all the details about how to get yourself some of the fun fabric. Until then I have a little confession and a little something to share. See..when Elizabeth and I were at the Riley Blake Headquarters they made the mistake of letting us into their wonderland of a crafting room. And in that room they had piles and rolls and folds of beautiful fabric and we just couldn’t help ourselves…and I just had to try out some of their sweet laminated fabric. I liked the large flower print and used that for the body. But I have a thing for polka dots and had to use some of that for the giant pocket along the bottom. She was pretty happy about it. Her apron is just like mine but with the fabrics in opposite places. But her favorite part was the giant pocket in the bottom. I’ve never sewn with laminates before and I have to say that it was really fun. 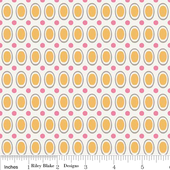 Now my mind is whirling with all the projects that this fabric would be great for. I have more that I could go on about but I better go…the baby is stirring….so I’ll just wish you all a happy Tuesday…and hurry to go grab my soda before she wakes up! Holy Moly I love those polka dots!!! OMG! That IS so exciting!!! I would be stoked to be a part of all that fun!!! 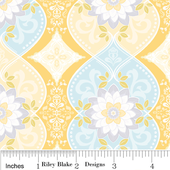 I’ve always loved Riley Blake fabrics!! Oh and those aprons? LOVE! Oh my heck, I love that apron. Super cute! They were brilliant to choose you … such great talent!